Today, I would like to show you my version Cypher. I have been painting this miniature for months now. Not because it is complicated, or big, or difficult, but simply that there is tons of repetitive work. And to be honest, although this is not visible on photo’s I still have some elements to finish (parts of the sword on the back). Finished! The thing is, this was supposed to be a quick job – I haven’t planned to paint this Dark Angel in such detail. But, as I worked with the brush the whole thing kind of expanded and demanded more and more. I will not say this was a blast, as most of those elements took ages to paint (especially the black metal). Nonetheless, I really like how it looks. Black primer, applied from airbrush on the whole model. Valleyo Grey primer, applied from airbrush from the top. The primer itself has a colour very close to white. 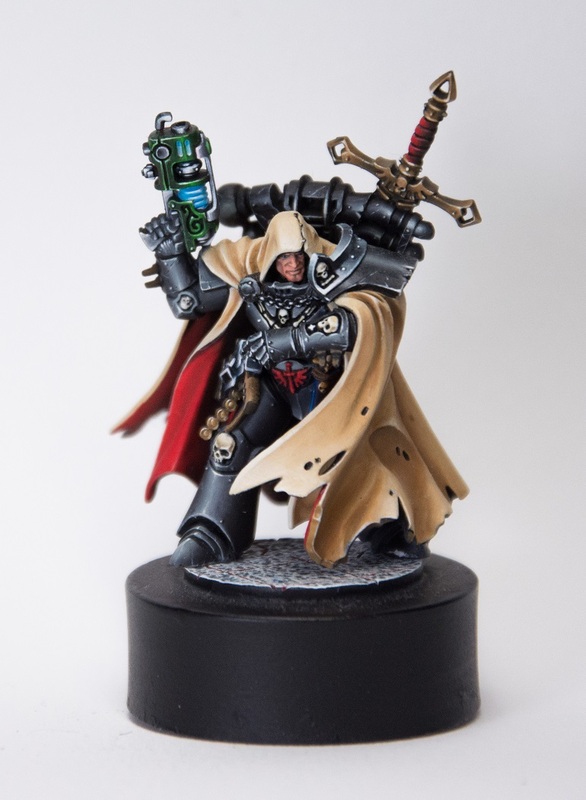 I actually prefer it, then standard white GW coat, is it doesn’t interfere with the next colour so much. 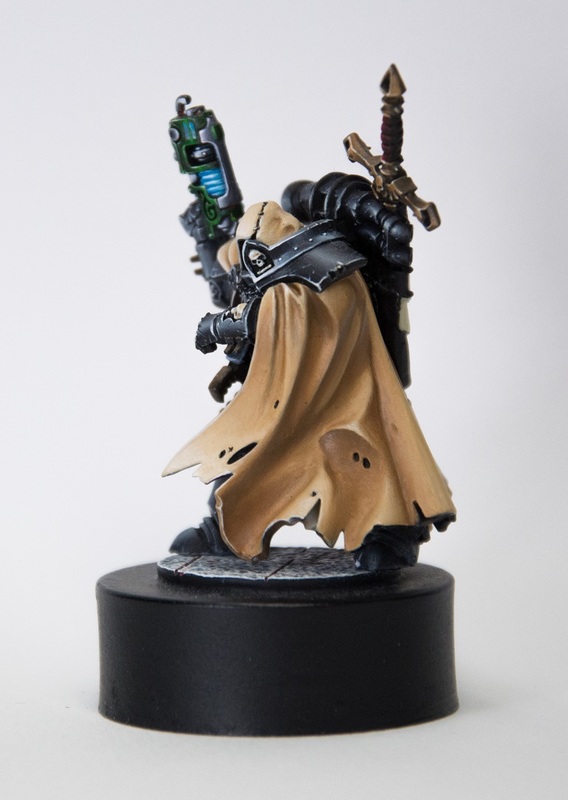 This approach is called pre-shading – the idea is to have a black undercoat, then apply the white (grey in this case) paint from above the miniature. * Vibrant colours, like red, look much better on white undercoat. They are far brighter and intense. * It makes painting the whole thing much faster. 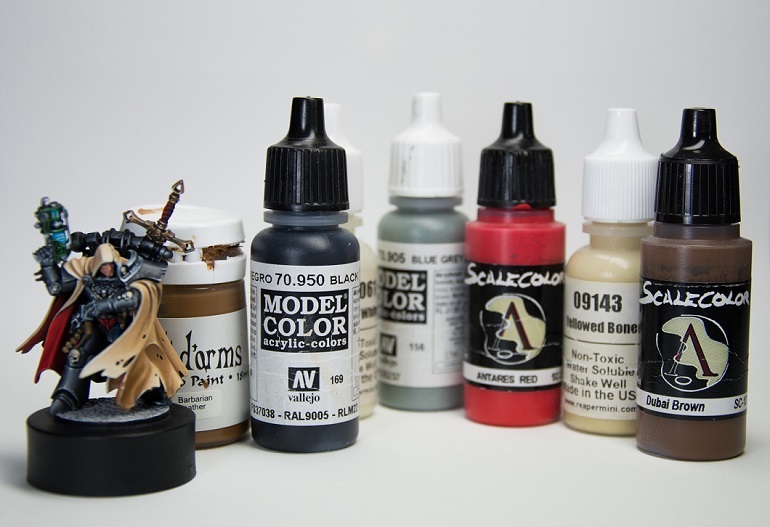 Scale 75 paints have much more pigment than any other stuff I bought, aside of old foundation paints by GW. I highly recommend them! Highlights: Base + Valleyo Blue Grey, up to pure Blue Grey. The scratches were done with Blue Grey, on top of them I added a bit white here and there, to make them seem more 3d. In some cases, I used black lines, but not everywhere. For smooth transitions I used mostly layering, and then smoothed the transitions with small glazes. Shades: Added Lich Purple to the base, and a bit of dark grey colour. Added then a bit black. Gently Glazed the darker areas. God, I love this paint. First red paint I used with such a perfect vibrant colour. The trick is to paint if over a pure white surface, and not to apply too much layers. The visible part of the cloak was painted white, then I painted red, then I painted a smaller portion white again and over that applied red.